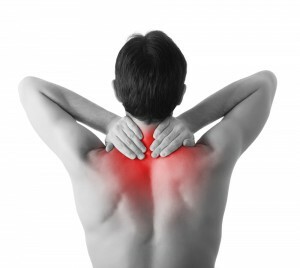 We are all familiar with muscle pain as each one of us has had muscle pain at some point in our lives. This is also true that some people experience worsening and commonly occurring muscle pain in certain areas. Rhomboid muscle pain which is more common and worse than other pain and considered as one of the most frustrating pains. Where actually the Rhomboid muscle located as many people don’t even know that they are suffering from Rhomboid muscle pain. It is a muscle that present in the upper back region just beneath the neck and between the upper shoulder blades. It is a triangle shaped and very thin muscle. It is a skeletal muscle that is connected to the bone and helps in movement of the joints. The main function of this muscle is to help in controlling the arms and shoulders. So it is logical to have pain there, if you have spent an entire day carrying heavy load. Because then the rhomboid muscle bears the brunt of it. In this article, you will find information, how to get rid of this pain if occurs, its causes as well as symptoms. But as we all know that prevention is better than cure, is especially advisable for any person who has already experienced rhomboid muscle pain. By warming up before any type of exercise could prevent any serious injury, as warming up and stretching helps in loosening the muscles and flexibility. It is also advisable to exercise indoors in very cold climates. Here you can find the relevant information about symptoms, causes, treatment of Rhomboid strain. God forbid but if you are suffering from it, you can find some recommended exercises below. First of all, if you have pain in the upper back region just beneath the neck and between the upper shoulder blades, then read the following, maybe you are suffering from Rhomboid strain. If you are experiencing not only pain but loss of movement also, then you have shoulder blade pain or rhomboid pain. Some patients can also have swelling as the body is healing from rhomboid muscle pain. In some cases, the compression of a nerve leading to acute shooting pain resulting in painful and difficult movements. There could be multiple reasons for Rhomboid Muscle Pain. Following are some possible causes. You may have read hundred times, keep your posture good when you have to sit or stand for a long time, but most of the time, we simply ignore such cautions. This ignorance could lead to many problems including Rhomboid Muscle Pain. Yes, –poor posture while sitting at your desk or at your PC will may weaken your muscles and put additional strain to them which lead to back pain. Lifting heavier things off the ground may cause Rhomboid Muscle Pain also because we usually keep stress on our back while lifting. It is recommended that we should always use our legs rather than our back. Intense, sudden lifting can pull the muscles of the back and cause strains as well as injuries. Sometimes even if a person bends over awkwardly or twists his/her body, or lifts too heavily at the gym then it may cause accidental tear of multiple fibers resulting in Rhomboid Muscle Pain. Rupture of the Rhomboid muscle can also cause pain. This is commonly seen when an individual goes to gym. Lift your arm above your head carefully like serving in tennis of stacking things on higher shelves for instance, it can be a reason of Rhomboid muscle pain. Rhomboid muscle connects the spine to the medial edges of the shoulder blades along with helping in maintaining a good posture. If these muscles are used excessively while doing sport, then it causes pain. Rest is important in healing of the sprained rhomboid muscle. In addition, following tips may also be helpful. To reduce swelling as well as pain caused by sprained rhomboid muscle, ibuprofen and aspirin can help. These medications help in reducing the swelling by thinning the blood. Cold compresses also help in alleviating the rhomboid muscle pain and swelling. Ice bags or ice cubes wrapped in a towel should be placed where you feel pain but not more than 20 minutes at a time. Stretch gently the rhomboid muscles by interlacing the fingers behind the back and slowly pushing them out backward. Stretching can also be done by holding one arm straight across the chest. This arm should be brought closer with the help of other arm, so that you can feel a gentle stretching in the upper back. Following are some exercises that may help to get rid of Rhomboid Muscle Pain. Stretch your arms in front of your body and clasp them together. Reach forward and bend your head. Feel the stretch in your upper back and neck and hold it for up to 30 seconds. Repeat up to 5 times. Stand straight and tilt slowly your neck to the side such that your ears are right above the shoulder. Make sure that you avoid raising the shoulder. Be in this position for 5-6 seconds and then tilt your neck to the other side. Repeat this exercise for 8-10 times. Raise your left arm (shoulder height) and bring it to the opposite side of the body. Raise your right arm and bend it across the left and pull. Hold the stretch for up to 30 seconds and repeat 3-5 times with each hand. Stand parallel to the door frame. Now reach the right side of the frame with your left arm. Lean to the left and feel the stretch. Hold for up to 30 seconds and repeat a few times with each hand.